The Amish Made Triple Rabbit Pen with Nests is a cute and cozy home for pet rabbits. Measuring 72" long, this spacious rabbit pen offers three areas with two nests for bunnies to snuggle up. Built by hand with solid wood. 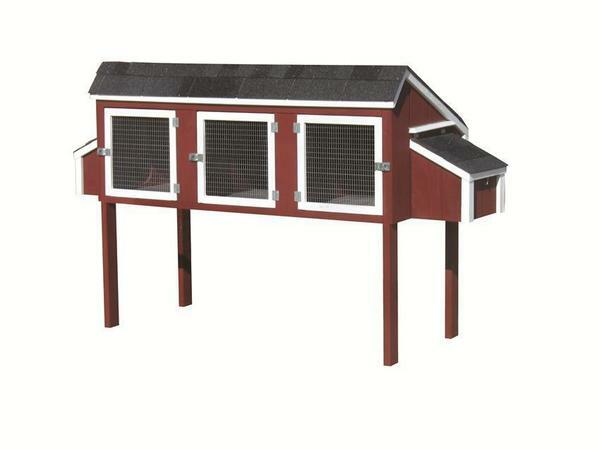 Features a shingled roof and comes in choice of beige, gray, hunter green, light blue or red. Another popular rabbit house we offer is the Amish Made Double Rabbit Pen with Nests.